Solar Cells are classified into three generations. The generations indicate the order of which each became important. At present there is concurrent research into all three generations. The first generation technologies are still the most highly represented in commercial production accounting for over 85% of all cells produced. First generation cells consist of large-area, high quality and single junction devices. First Generation technologies involve high energy and labor inputs. This prevents any significant progress in reducing production costs. Single junction silicon devices are approaching the theoretical limiting efficiency of 33% and achieve cost parity with fossil fuel energy generation after a payback period of 5-7 years. They are not likely to achieve lower than US$1/Watt(W). Second generation materials have been developed to address energy requirements and production costs of first generation cells. Alternative manufacturing techniques such as vapour deposition, electroplating, and use of Ultrasonic Nozzles are advantageous as they reduce high temperature processing significantly. It is commonly accepted that as manufacturing techniques evolve production costs will be dominated by constituent material requirements, whether this be a silicon substrate, or glass cover. Second generation technologies have been gaining market share since 2008. Such processes can bring costs down to a little under US$0.50/W but because of the defects inherent in the lower quality processing methods, the efficiencies are reduced when compared to first generation cells. The most successful second generation materials have been cadmium telluride (CdTe), copper indium gallium selenide(CIGS), amorphous silicon and micro amorphous silicon. These materials are applied in a thin film to a supporting substrate such as glass or ceramics reducing material mass and therefore costs. These technologies do hold promise of higher conversion efficiencies. CIGS, DSC and CdTe offer significantly cheaper production costs. Among major manufacturers there is certainly a trend toward second generation technologies, however commercialisation of these technologies has proven difficult. In 2007 First Solar produced 200 MW of CdTe solar cells making it the fifth largest producer of solar cells in 2007 and the first ever to reach the top 10 from production of second generation technologies alone. Wurth Solar commercialised its CIS technology in 2007 producing 15 MW. Nanosolar commercialised its CIGS technology in 2007 with a production capacity of 430 MW for 2008 in the USA and Germany. Honda Soltec Co. Ltd also began to commercialize their CIGS base solar panel in 2008. In 2007 CdTe production represented 4.7% of total market share, thin-film silicon 5.2% and CIGS 0.5%. Current research is targeting conversion efficiencies of 30-60% while retaining low cost materials and manufacturing techniques. Third generation solar cells can exceed the theoretical solar conversion efficiency limit for a single energy threshold material. The threshold was calculated in 1961 by Shockley and Queisser as 31% under 1 sun illumination and 40.8% under maximal concentration of sunlight (46,200 suns, which makes the latter limit more difficult to approach than the former). * Multi-junction photovoltaic cell (multiple energy threshold devices). * Modifying incident spectrum (concentration). * Use of excess thermal generation (caused by UV light) to enhance voltages or carrier collection. * Use of infrared spectrum to produce electricity at night. 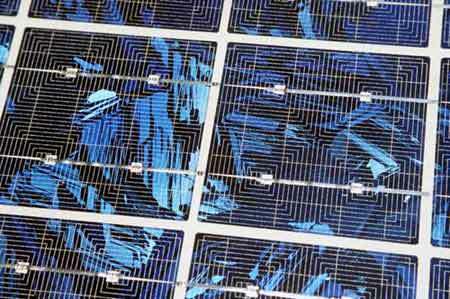 The three generations of solar cells will undoubtedly continue into the fourth generation once all options for third generation solar cells are exhausted.